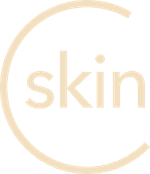 Names of skin conditions always have been a topic of interest to people since they are either complex at times, or entirely misleading to people unaware of the condition. A prime example of such a condition would be Ringworm. Although medically known as tinea, it gets its common name from its appearance and the region where the disease festers (1). It is commonplace to witness dermatologists explaining to patients that the condition has nothing whatsoever to do with worms. In actuality, ringworm is a fairly common form of fungal infection which appears on the skin, often characteristically identified by a circular rash typically red in color. It also tends to have slightly clearer skin in the middle. Itching is also often reported to accompany this condition. Tinea is sometimes closely related to jock itch, athlete’s foot, and even scalp ringworm or tinea capitis. A point to note about ringworm is its capability to spread and affect people or animals that come in direct skin-to-skin contact with the condition and this is further explained below. There are usually three types of fungi that are known to cause ringworm. Their medical names are Trichophyton, epidermophyton as well as Microsporum. Although they naturally fester in the soil, when someone comes in contact with this soil, or with an animal that has come in contact with such soil, you can contract the skin condition (2). The causes for ringworm find origins in the presence of parasites similar to mold, that exist on a microscopic level on the skin (3). When on the outer layer of the skin, such a contagious fungal infection can spread easily, be it from person to person, or even to and from animals. An example of this occurring would be when we pet or groom dogs, cats or cows. The chances of someone getting infected and developing ringworm is increased if the skin is in wet condition, along with the presence of small injuries or even scratches or scrapes on the skin. For this reason, public pools or public areas related to water can be festering grounds for such diseases. The level of contagious is so extreme at times that you might be in danger of contracting the condition even if you come in contact with an inanimate object that an infected person may have touched. If objects like clothing or bedding have touched the infected region of a patient, then chances of the disease spreading to others through these objects are very high. Being both communicable and contagious makes ringworm a really common condition that dermatologists come across in patients. As for the possibility of getting the disease from the soil, even though the infectious fungus festers in the soil, it takes really prolonged exposure to such soil to actually get infected. Since it is highly contagious, patients and their close ones are always warned of the signs and symptoms which hint at ringworm infections. A red patchy region of skin, scaly or bumpy to the touch is the starting sign of ringworm infection. Given time, it is known to develop the trademark ring which it is named after or a generally circular shape. While this is the sign it shows on the visible skin, on the scalp, it appears as sore spots and bumps, that run the risk of becoming scaly and flaky with dead skin (4). It makes the scalp far more tender and sensitive to touch. This sensitivity is often translated to basic soreness of the scalp. Ringworm on the scalp is an especially severe form of the condition because it has the added effect of causing hair loss in affected regions. When we hear the term fungal or fungus in relation to any skin condition, it tends to instill fear because it is such a common thing in our environment. The fungus can commonly be found almost everywhere its different forms. But it is vital to understand that only a few kinds of fungus can actually affect the skin and cause such diseases. These go by the name of dermatophytes and this translates to skin fungi (5). Moreover, any skin condition caused by this kind of fungi goes by the term of dermatophytosis. Doctors tend to emphasize the fact that this condition exists only on the outer layers of skin because these particular fungi can only exist on dead keratin protein. This exists in layers on top of our healthy skin. In medical terms, there are many confusing and lengthy names for possible conditions related to this, however, the most important condition of ringworm is all that a common person needs to be aware of. In common situations, ringworm is known to create the sense of itchiness. And as is the case with most skin diseases, itching can only aggravate the condition and further irritate the skin in that particular region. Diagnosis of ringworm in its various forms is usually similar. Being a fungal infection, it is easily detectable under black light. This is a method often opted for by dermatologists. If the infection under observation is ringworm, then the fungal infection is most likely to glow and stand out (6). Apart from a black light test, doctors find it helpful to conduct skin biopsies or even scrape tests to determine the skin condition. Scraping a layer off the skin and examining it in the presence of potassium hydroxide helps isolate the fungal infection from the normal cells and makes it stand out. As for the treatment of ringworm, it is often quite targeted and depends on the type of ringworm being treated. Tinea cruris: also commonly known as jock itch is the main form of skin ringworm, and usually found around the groin regions or random patches of skin. Doctors often recommend the use of topical creams with anti-fungal properties and ingredients. The less intense forms of such medication are often available as over-the-counter products. It is always advisable to read instructions thoroughly before applying them. Medication prescribed by dermatologists tend to be stronger and known to contain chemicals such as ketoconazole, terbinafine or grisovin (7). In case any non-prescription products contain these ingredients, it is always safer to refer to a specialist before using them. Also, oral forms of medication are assigned for more severe cases, however, they often tend to have side effects that affect the stomach or even liver. Tinea capitis: commonly known as scalp ringworm is more often treated with oral medication for more immediate effects. However, this highly depends on the diagnosis of the condition and its severity. The above-mentioned chemicals play a similar role in healing this form of ringworm. Anti-fungal shampoos are the best form of treatment for scalp ringworm in most cases. When prescribed correctly by dermatologists, this might be the right dosage and strength to address the specific condition. However, they only quicken the process of recovery and do not cure the condition itself, so the condition may return. Terbinafine tends to cause nausea and even diarrhea and is not recommended for people who have any history of liver-related conditions (8). While grisovin may only result in a mild headache or indigestion for most people. Do Ringworm scars go away? Such a severity in side effects of the medication is the main reason why people recommend consulting a dermatologist prior to taking any action on your own to battle the condition. It is typically a skin condition that can last two to four weeks, based on the treatment and your healing. However, most patients are known to recover easily from the disease and with appropriate follow-up scar treatment, it is possible for the ringworm scars to go away.